St. Gertrude the Great Advent, 2015 Newsletter is now available. A school child writes a log of his trip to visit the relics of St. Maria Goretti. Fr. 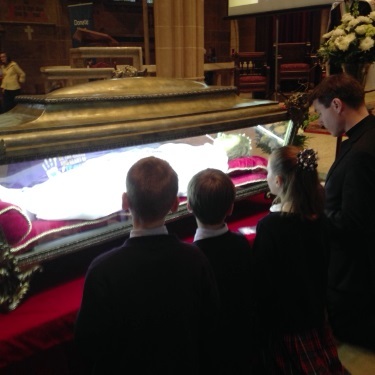 Lehtoranta and school children pray before the sarcophagus of St. Maria Goretti. This entry was posted on Friday, December 4th, 2015 at 8:31 pm	and is filed under News.